I’m pretty tired of brochures, aren’t you? That’s why I suggested this client do something different. 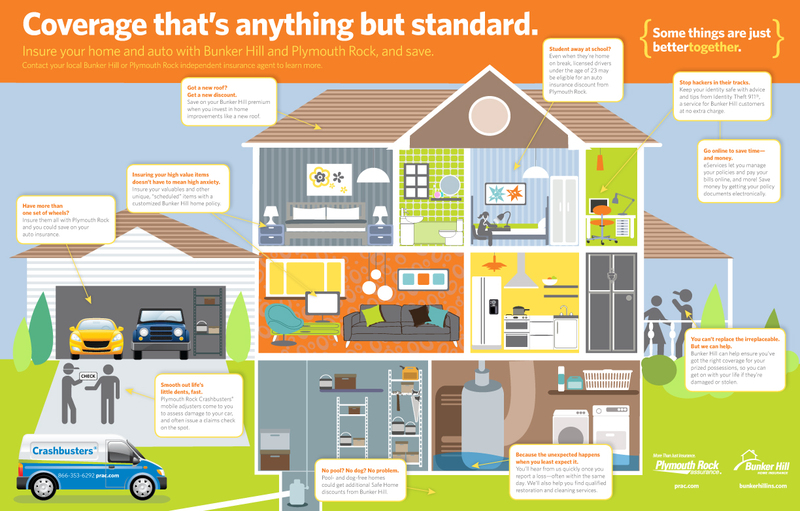 This fold-out poster gives you the same info as a brochure would, only in a much cooler infographic-style format that makes it easy to see why you really, really need homeowners insurance, from the front lawn to the back yard and every room in between. It folds up to be slightly bigger than a credit card. And just like a map, who cares if you can’t fold it back up exactly the way it was? Let the left-brained people deal with it. Double- or triple-click on the image to see it better. Shout out to my girl Julie Miller, designer extraordinaire.